In which language is the Bible Amish use? Amish read the Bible in both English and German. The bilingual split Bible is common, with English text on one side and German on the facing page. Which version of the Bible do the Amish use? The Amish use the German Martin Luther Bible for church and home Bible readings. 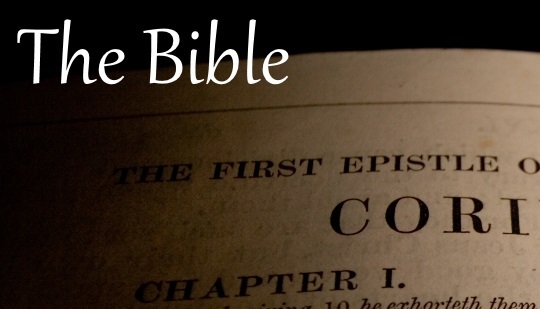 For an English Bible, they traditionally use the King James version, though some may use other translations including the NIV (New International Version) Bible. Are Amish allowed to read the Bible? It’s sometimes suggested that Amish are restricted from owning or reading Bibles, in effect dependent upon church ministry to impart the word of God. It’s likely this idea originates from the value Amish place on community and their apprehension of the type of Bible study popular in other Christian churches. The concern is that an individualistic approach to Bible study may foster self-serving personal interpretations which conflict with established traditional beliefs and church values. Contrary to this perception, many if not all Amish homes contain Bibles. Holy Scripture is used as source material for daily devotionals carried out by Amish families. Amish also discuss passages from Scripture and may own additional books to help aid in their understanding, such as concordances or Bible encyclopedias. Amish are also apt to refer to sermons that they remember from church delivered by ministers as a point of reference in such discussion. However the willingness to discuss passages from Scripture and use of the Bible outside a church setting may vary across Amish groups. Do the Amish read the Old and New Testament? Yes, Amish read from both Testaments, and both serve as source material for sermons at church service, though the New Testament is emphasized. Which are the most popular sections of the Bible in Amish church? Though readings come from both the Old and New Testament, Amish worship leans heavily on the New Testament and the Gospels. As described in The Amish Way: Patient Faith in a Perilous World, “Preachers make frequent allusions to Old Testament stories and psalms, but sermons are mostly based on New Testament texts” (see The Amish Way, Appendix II: Amish Lectionary, p. 205). On the Gospels, “there is an obvious preference for texts from the Gospels of Matthew, Luke, and John, all of which present the teachings of Jesus. Of these Gospels, Matthew receives the highest priority” (The Amish Way, Appendix II: Amish Lectionary, p. 205). The Sermon on the Mount (Matthew 5-7) also plays an important role in Amish Christianity, as Amish derive their beliefs and practices of forgiveness, nonresistance and non-violence from the Scripture. An Amish minister quoted in Amish Grace: How Forgiveness Transcended Tragedy observes: “Forgiveness is all about Matthew 5 and the Sermon on the Mount and loving our enemies” (Amish Grace, p. 88). Do the Amish use the Apocrypha? The Apocrypha consists of a collection of additional books used in some Christian churches and included in some editions of the Bible. The Apocrypha does occupy a place in Amish society. John Hostetler also notes that the Apocrypha plays a role in Amish wedding ceremonies, “which [include] the retelling of the marriage of Tobias and Sarah in the Apocrypha” (see Hostetler, John A., Amish Roots: A Treasury of History, Wisdom, and Lore, p. 117). Furthermore, in Amish Society, he recounts an Amish wedding service that includes readings from the Book of Tobit (Hostetler, John A., Amish Society, p. 195). Additionally, the Gospel of Nicodemus is also reportedly used by Amish. “Luther’s Bible Translations: 1534. Martin Luther: The Complete German Bible 1534.” lstc.edu/gruber/. Lutheran School of Theology at Chicago, n.d. Web. Accessed 6 Apr. 2015. <http://www.lstc.edu/gruber/luthers_bible/1534.php>. To Cite this Page: Wesner, Erik J. “The Bible.” Amish America. 8 Apr. 2015. Web. [Date Accessed]. <http://amishamerica.com/bible/>. Tonia – I’m new to this website and I absolutely love it ! You posted a question back in October about why women don’t dress modestly when the Bible admonishes it . I see that a lot in my small community here in Central Illinois . I’d love to hear your opinion on this same question . I personally feel that it is because the regard people had for the advice in the Bible has been watered down so much by religious leaders and society in general . How many times have we heard people say that “ God accepts people just the way they are.” ? Or “ God looks at my heart and not my clothes “ Granted, there are many persons who can’t afford nice clothes and perhaps a clean pair of casual clothes is all they can obtain, but being immodest is a totally different thing. As a woman and mom, I know that the styles offered in retail establishments cater to customers who want what’s popular or trendy and immodest clothing is generally what is available . It takes more effort to find appealing and modest clothing, but they are definitely out there. I’ve only begun to read your website and I find it very informative and fascinating ! My sisters live in Southern Indiana and I live in Central Illinois . We are all Bible teachers and have been looking for ways to become more familiar with our neighbors . My sisters have been learning P.A.German for about a year now and I’ve only begun to look into it . I found your Q&A about the beliefs of the Amish and Mennonite faiths to be very interesting . I just wanted to pass along some things that you might find interesting. We, Jehovah’s Witnesses, have been making Bible materials in P.A. German, free to the public .I realize that many Amish and Mennonite don’t read P.A.German , but various materials are available to whomever wants to down load them . Also, the King James Bible in P.A. German is available too. The way to access it is by visiting JW.ORG and select the language of choice . There are several small materials under the “ Publications “ tab . Also, for anyone who might want to receive a paper copy , I’d be more than willing to send something to a mailing address . Again, I love your website. I’m encouraged to try to learn to converse with my neighbors in their mother tongue . I’m only beginning to find out more but I look forward to many wonderful experiences . In fact, a group of my friends and I will soon be visiting a quilt show in Arthur, Il later this month . Jehovah’s Witnesses are now targeting the Amish? That’s both sad and alarming. Why wouldn’t they target the Amish? They harass everyone else! As stated above, if you do not want us on your property, simply place a “ No Tresspasing Sign “ on your property or something to that affect on your door . Obviously, you can’t answer for everyone else . Many persons enjoy our visits. We volunteer our time, energy, and finances to check on our neighbors and encourage them. We are not paid to do so, rather it is out of genuine love and concern for our community members . How many persons from other religious organizations visit persons out of the a desire to do ask Jesus asked ? Also, if you came to my home and wanted to encourage me from the Bible, I would have appreciation for your efforts . I would not be mean about it, rather I would respectfully give you a moment of my time , even if we didn’t belief the same things . The time is coming when this preaching and teaching work will be ending. According to Matthew 24:14 , it must meet it’s completion before the destruction of the wicked . Therefore, we feel a sense of urgency to warn our neighbors . Whether they want to know more or not is totally up to them . At least we have tried and are then free of bloodguilt . In reply to your statement that we, Jehovah’s Witnesses are targeting the Amish, I’d like to ask you some important questions please . At Matthew 28:19, 20 – Jesus gave directions for his followers to go out to preach and teach persons from all the nations . Who do you suppose he was speaking to, only his followers back in the 1st Century ? Did his disciples and followers have the opportunity to preach to all the nations during their life time ? How extensive was this disciple making work suppose to be ? Should not everyone be given a chance to receive encouragement from the Bible, regardless of their background? Didn’t Jesus himself and his disciples speak to persons who were not Jewish ? My point is this – there is nothing wrong with having an interest in our communities and sharing something positive from the Bible . Would you rather we be like the majority of persons and spread hatred and prejudice ? If you don’t want us to come to your door, just simply say so or post a “no trespassing sign “ on your property . I’m sorry you don’t like us – but I love persons enough to even be ridiculed by others because they don’t agree with our Bible based faith . I hope you have a better day . They come around a lot in our area but it won’t matter what they talk, Dutch or English. We can’t agree with their beliefs and want nothing to do with them. I read my Bible in English, German, and Dutch and the Jehovah witnesses beliefs don’t match up with what I read in scripture. The 2 John quote is right on. With all due respect, we realize that the majority of persons will not agree with our faith . How many other religious faiths do you agree with ? Probably less than a handful . Frankly, even in the same faith, there are disagreements. Isn’t that evident by the various churches for Pentecostals, Baptists, Methodists, etc. Why is there a 1st, 2nd, and 3rd – fill in the blank – Church ? So it’s not a surprise that people do not agree with our faith either. But there is a minority of persons who hunger for spiritual truth and they aren’t being satisfied in their present situation . Sometimes people don’t even know where to begin to find the answers to life’s biggest questions . I’m sure your really a nice person outside of this topic . I hope you have a better day . I have indeed read up on Jehovah Witnesses and have talked with several who are still members and some who left. If they spread the TRUTH I’d feel very different. I’d encourage you to read the Standard King James scriptures and make yourself open to Bible teaching from other Christians. The more you read, the more you will discover that you are being deceived. There are so many places your JW version of the Bible differs from the true scriptures and so many false prophesies. But this is the end of this discussion for me. This is Amish America and the name suggests its purpose. It is for understanding and discussing the Amish not a way to spread Jehovah Witness opinions. And I do know what the JW’s are about. By the way, read Acts 11:26 — … and the disciples were called Christians first in Antioch. Frances, are you a Christian or a Jehovah Witness? Who is Lucifer and what relation does he have to Jesus Christ? Who are the 144,000 and how do they differ from today’s JW’s? Do JW’s believe the Catholic church teaches heresy and if so why does the Watchtower publish and use a Bible version translated from Roman Catholic Bible manuscripts? I thought the JW’s refuse to use the name Jesus, but use “Jehovah” instead? Last week our family and other Amish families in our neighborhood got a visit from JW’s and we did not answer the door. They left a paper on our porch written in PA Dutch inviting us to a Bible event and the pamphlet uses the name Jesus all throughout but spelled as it would be pronounced in PA Dutch — Yaysus. So why if they can use the name “Jesus” to try and coax Amish people to one of their events, why do they not use it at other times?